All pictures of the special exhibition "40 Years Transaxle" and many more can be found in our gallery. In our lexicon you will find many instructions, hints, tips & tricks - Everyone can participate. Transaxle of the month will be parked for one month on our home page. Upload picture and join in. We are happy to assist with technical problems, restoration issues or simply with care tips, including a growing archive of technical information and practical repair instructions. Transaxlegarage.de: From drivers - for drivers! We look forward to you! Transaxle motorsports - Find like-minded people here. Used and new parts can be bought and sold through our marketplace. Transaxle drivers are everywhere. Organize meetings through the map for members or get help quickly in the event of an emergency. The entry is optional. 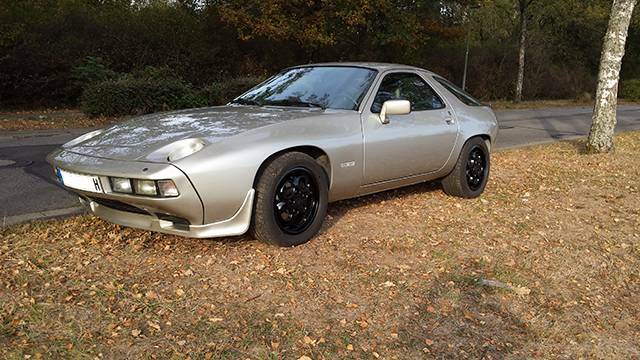 Transaxlegarage.de - the forum for classic transaxles Porsche 924, 944, 968 and 928! If you are looking for technical help for your Transaxle Porsche and a sociable but respectful way, you are in the right place! We are a nice, steadily growing community committed to preserving the Transaxle Porsche 924, 944, 968 and 928. We are happy to assist with technical problems, restoration issues or simply with care tips, including a growing archive of technical information and practical repair instructions. Are you looking for help and / or simply a nice and respectful exchange with "like-minded people" - here you are welcome! Sign up now, the activation will be immediate (no fear: no subscription, no costs and certainly no hidden - just join in is the motto). A brief introduction after the activation creates confidence, but is not a must!